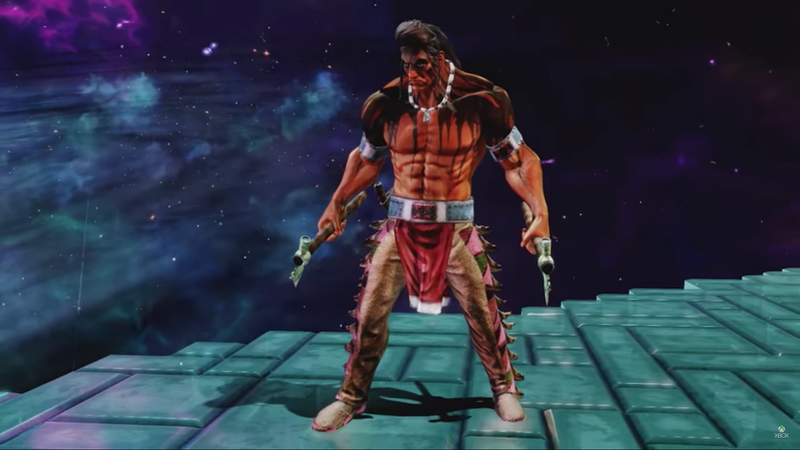 Despite working with members of the Nez Percé tribe during the development of the Killer Instinct reboot, developers didn’t get the details of Native American warrior Thunder’s costume quite right. Today’s free Legends of Thunder costume fixes that. According to a post by Killer Instinct senior marketing manager Nicole Fawcette on Xbox Wire, the rush to release the game with the launch of the Xbox One and pressure to make Thunder more familiar to fans of the franchise contributed in a look missed the mark. Thunders regular Killer Instinct costume. To make up for the mistakes, Microsoft and Iron Galaxy consulted closely with Josiah Blackeagle Pinkham and Thomas tátlo Gregory, representatives of the Pacific Northwest Nez Percé tribe to which the fictional fighting game character belongs. Fawcette over goes over the changes made in a post on the official Killer Instinct website. You can check out the result of the collaboration in the video below. The free Legends of Thunder pack is available to all Killer Instinct players today.